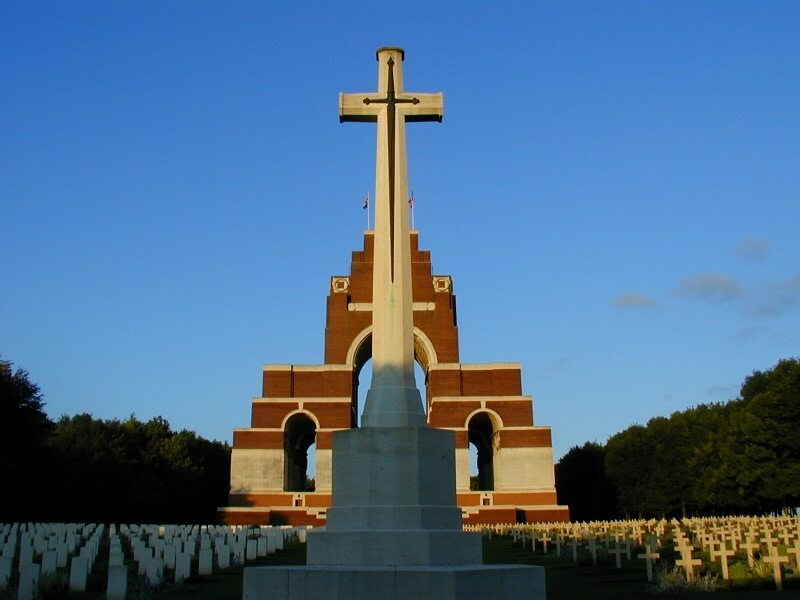 Opened on 31 July 1932 by the Prince of Wales, the Thiepval memorial was and remains the largest British war memorial in the world. 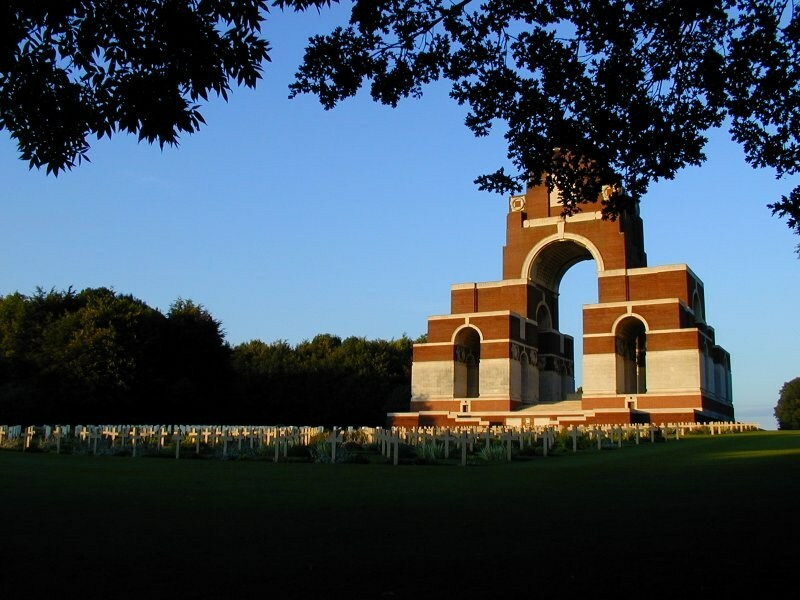 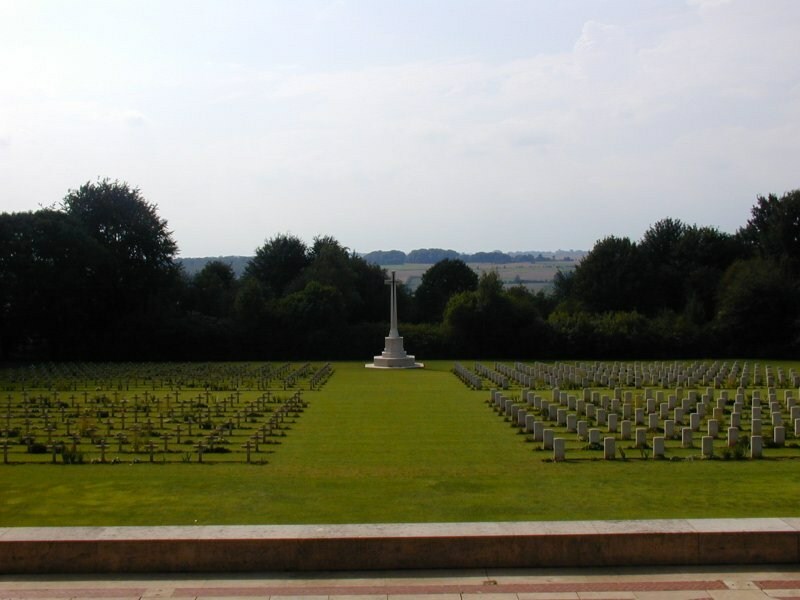 The memorial contains the names of 73,357 British and South African men who have no known grave and who fell on the Somme between July 1916 and 20 March 1918. 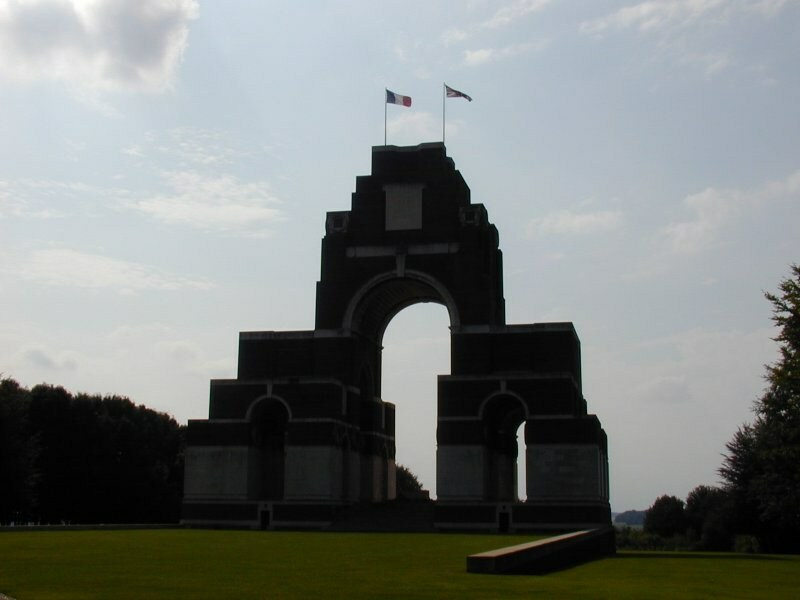 150ft high and dominating the surrounding area, the memorial was designed by Sir Edwin Lutyens. 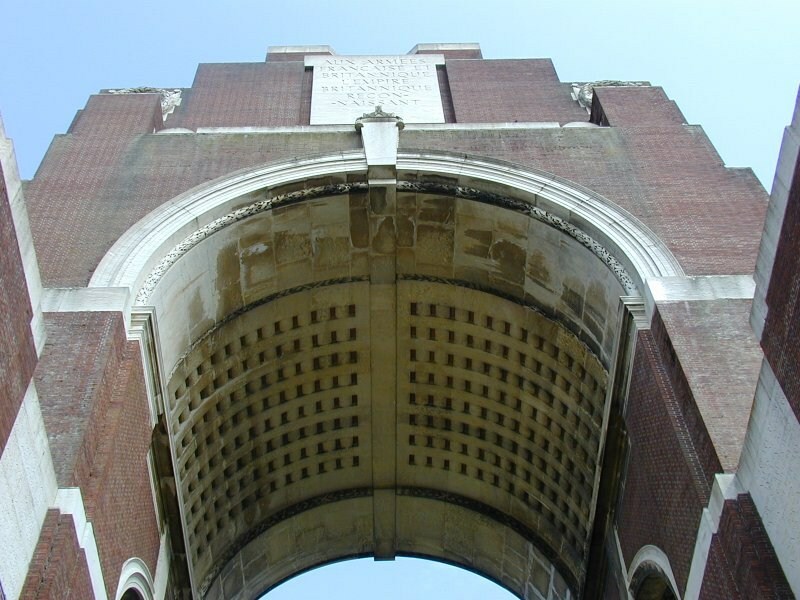 The building of the memorial created a degree of controversy at the time among former soldiers for its cost and scale, being commonly perceived as a waste of money better spent on the veterans themselves. 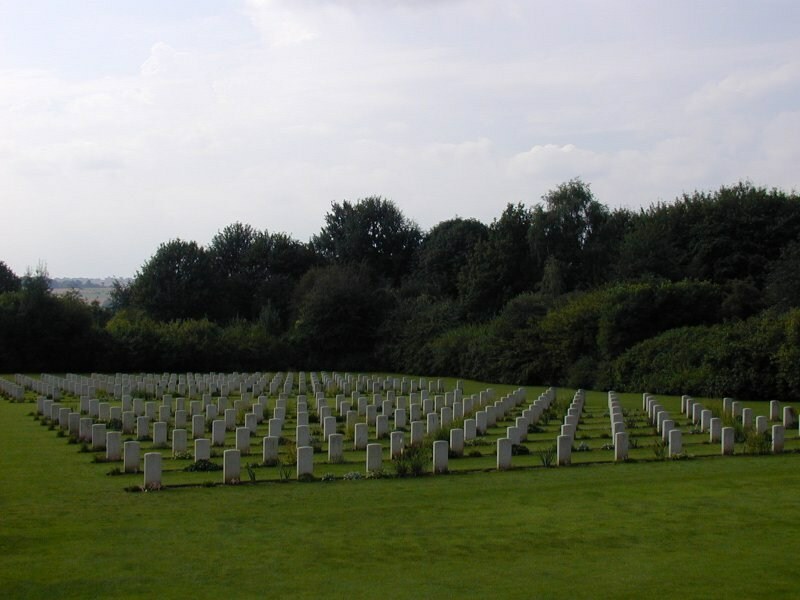 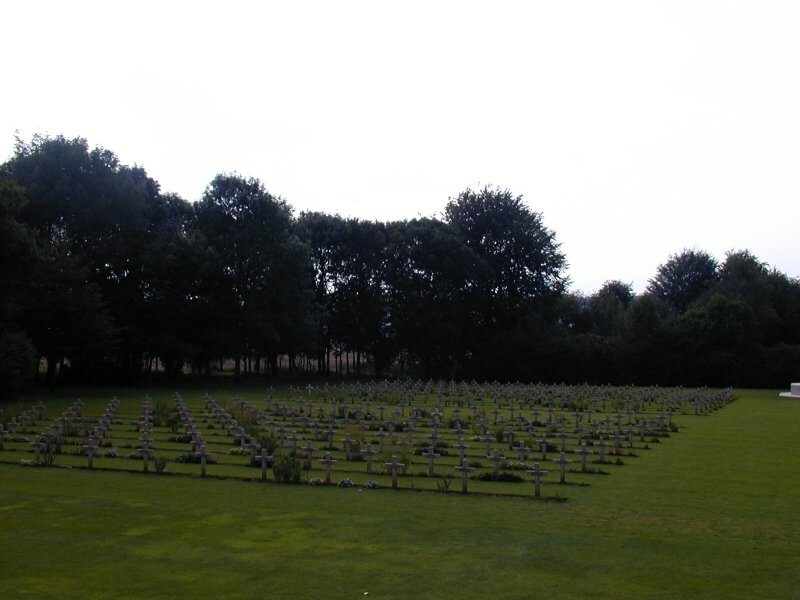 The accompanying cemetery at the rear of the memorial unusually contains both British and French burials - 300 of each - to commemorate the joint Anglo-French Somme action, French burials on the left and British on the right.